Paris, Washington, D.C. April 9, 2018 —The Director-General of UNESCO, Audrey Azoulay, and UNESCO Goodwill Ambassador Herbie Hancock today announced the programme for the 2018 edition of International Jazz Day, with events in Saint Petersburg (Russian Federation), this year’s Global Host City, and over 190 countries around the world. A series of educational and outreach programmes will take place in the Global Host City, where the Day will culminate in an extraordinary all-star concert at the historic Mariinsky Theatre, an event which will be streamed live worldwide. Partners on the seven continents will celebrate jazz as a universal language of peace on International Jazz Day, celebrated every year on 30 April. 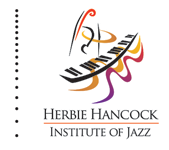 Iconic jazz pianist Herbie Hancock (USA) and renowned saxophonist Igor Butman (Russia) will serve as artistic co-directors of the all-star concert and John Beasley (USA) will serve as the evening’s musical director. The concert will feature performances by an international roster of artists including Cyrille Aimée (France), Oleg Akkuratov (Russia), Till Brönner (Germany), Oleg Butman (Russia), Terri Lyne Carrington (USA), Fatoumata Diawara (Mali), Joey DeFrancesco (USA), Vadim Eilenkrig (Russia), Kurt Elling (USA), Antonio Faraò (Italy), James Genus (USA), Robert Glasper (USA), David Goloschyokin (Russia), Hassan Hakmoun (Morocco), Gilad Hekselman (Israel), Horacio Hernandez (Cuba), Taku Hirano (Japan), Anatoly Kroll (Russia), Gaoyang Li (China), Rudresh Mahanthappa (USA), The Manhattan Transfer (USA), Branford Marsalis (USA), James Morrison (Australia), Moscow Jazz Orchestra (Russia), Makoto Ozone (Japan), Danilo Pérez (Panama), Dianne Reeves (USA), Lee Ritenour (USA), Luciana Souza (Brazil) and Ben Williams (USA), among others. Igor Butman supported the bid of Saint Petersburg to become the International Jazz Day 2018 Global Host and the city will offer the public a rich programme of concerts, lectures, workshops and discussions with high-profile musicians free of charge on 29 and 30 April. Jazz has been played in Saint Petersburg since 1927, when Russia’s First Concert Jazz Band was founded, at the Saint Petersburg State Capella, followed by the creation of the first jazz collective in 1929. It is also the only city in Russia to have a Jazz Philharmonic Hall, founded in 1989. Celebrations will also take place in other cities across the Russian Federation and in more than 190 countries worldwide to mark the Day, which was established by UNESCO in coordination with the Thelonious Monk Institute of Jazz in 2011, recognizing the role of jazz in promoting freedom, creativity and intercultural dialogue, uniting people from all corners of the globe. On 22 April, a special concert will commemorate the 300th anniversary of the founding of New Orleans, the birthplace of jazz, in the city’s historic Congo Square. This will start the official countdown to International Jazz Day, kicking off a series of education programmes throughout New Orleans public schools and around the world. The concert will be streamed on 30 April, International Jazz Day, as the lead-up to the live streaming of the All-Star Global Concert from Saint Petersburg. 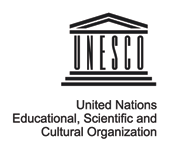 The Thelonious Monk Institute of Jazz is once again working with UNESCO and its field offices, National Commissions, Associated Schools Network, universities and institutes, public radio and television broadcasters, and NGOs to secure their participation in International Jazz Day. Additionally, in countries throughout the world, libraries, schools, universities, performing arts venues, community centres, artists, and arts organizations of all disciplines will be celebrating the Day through presentations, concerts, and other jazz-focused programmes. International Jazz Day programming has been made possible thanks to the support of 2018 lead partner, Toyota, whose vision and generosity contribute to the celebration’s tangible impact in communities around the globe. As previously announced, Sydney, Australia, will serve as the Global Host City of International Jazz Day 2019 and next year’s All-Star Global Concert will be performed in the iconic Sydney Opera House, a UNESCO World Heritage site. 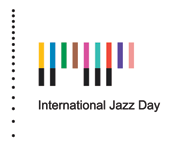 For more information about International Jazz Day 2018, please visit jazzday.com or UNESCO.org.